“No joke, Benedict and I were having a couple glasses of wine, and I remember saying, ‘You dare me? Let’s make a bet on it.’ I said there’s no way they fall for it,” Francis said in his video. “So I bet him that there was no way in a million years that you guys would fall for it. And that line about Catholics and Protestants being brothers and that we should all give each other spiritual hugs? Honestly? Benedict literally spit out his wine. I’m sorry and all, but come on…you actually fell for the whole ‘The miracle of unity has begun stuff?’ Seriously…now I’ve lost the bet and have to wear his red shoes all of Lent. Francis also went on to say that he was utterly flabbergasted that the Pentecostals believed that they could truly become one with the Catholic Church despite the little fact that they are not even close to being in the same vicinity of agreement on core issues like the Canon of Scripture, the Virgin Birth, Clergy, Confessions, Eucharist, Contraception, and so on. 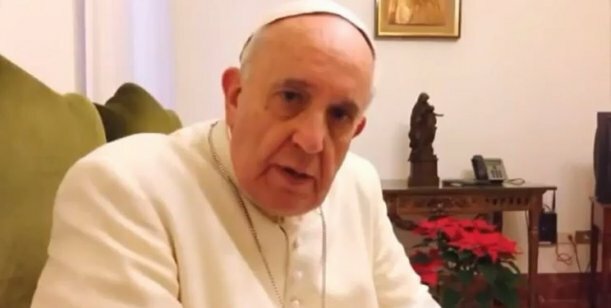 Francis did end his video on an positive note, though, saying that, “Other than that long list of Church teachings that you all disagree with, as well as your rejection of papal authority and the teachings of the Magisterium of the Catholic Church, yes, we are one.